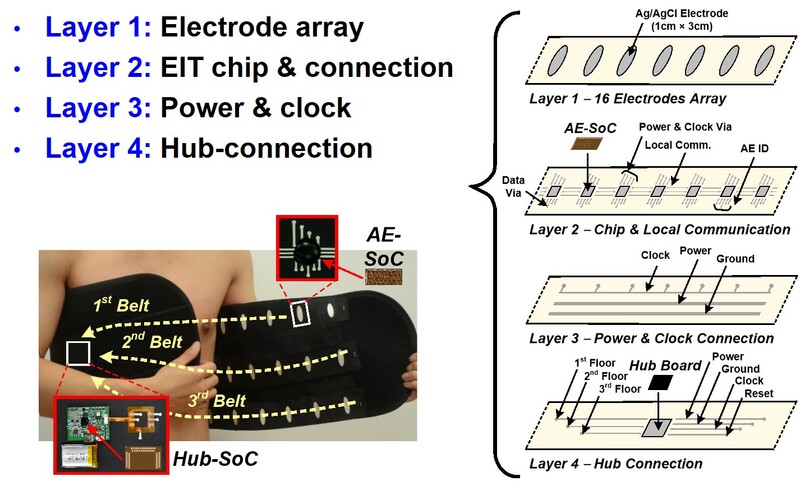 Recently, as the average span of a man's life becomes longer and the concern of healthcare increases more and more, the researches on bioelectronic applications have been activating. Due to the increasing demands for various kind of health-aids for everyone at anytime, and because the high cost and complex-functional devices cannot satisfy one's need, high performance and low cost bioelectronic applications must be developed. Therefore, we have been studying the convergence of biology and electronics for well-being in human life and have significantly considered three research areas for designing bio microsystems: Bioelectronics, Health Care, and Consumer Electronics. With these considerations, we have developed a microsystem for health care applications which mean complete system from external surrounding to internal organs for one's ability to sense getting enhance, especially in hearing ability. Ultimately, we will make the study of bio microsystems applicable to consumer electronics. Copyright (C) 2017, SEMICONDUCTOR SYSTEM LAB., All Rights Reserved.